But successful marketing campaigns can be worth thousands to millions of dollars. And bad marketing campaigns…well, let’s just say companies really need to take a step back and evaluate the power and play of their intentions before broadcasting their message into the real world. What am I speaking about exactly? In case you’ve been hiding from the constant barrage of negative news for the past few months (I know I wish I could), I’m talking about the now-infamous Pepsi Kendall Jenner commercial. The commercial that didn’t even make it a full-24 hours into the world before having the plug pulled. There have been many, many articles written panning this commercial and its message; although, this is not one of them. As someone who works in advertising and is fascinated by advertising campaigns, I must have read a dozen of them myself. It was considered “tone-deaf” and “controversial,” not exactly what you want from a simple soda commercial. What I found most intriguing and upsetting, as someone who works for a marketing agency, is that this ad and its backlash could have been avoided if Pepsi hadn’t used their in-house creative team. Of course, I’m not adverse to the way companies run. Lots of companies, big and small, utilize an in-house team due to advantages in cost and time. And Pepsi is not the only company that uses an in-house team either. Take skin-care giant, Nivea. They also released a social media ad around the same time as Pepsi. However, this Facebook post, while it did receive negative backlash, was not as widely publicized as the infamous Pepsi ad. The ad in question was featured on the company’s Middle East Facebook page in order to promote their new spray deodorant, Black & White. Its slogan? 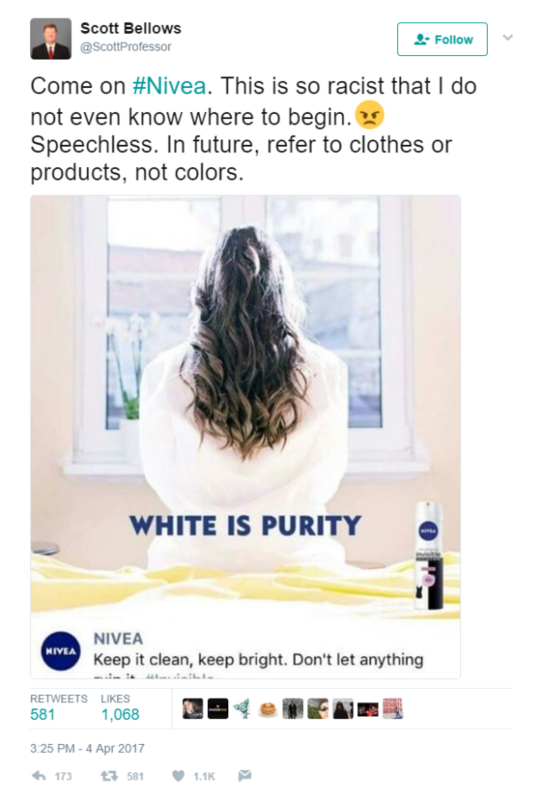 “White is Purity”. Needless to say, it was met with some criticism and it did not seem to originate from the German ad agency that Nivea tends to work with, Draftfcb. There are countless examples of insensitive advertising from both ends; however, it’s interesting that both of these ads occurred around the same time and both originated from an in-house brain-child. Is it because companies are losing touch? Maybe. But I think it stems from a lot more “yes-men/women” in business and less consultants. 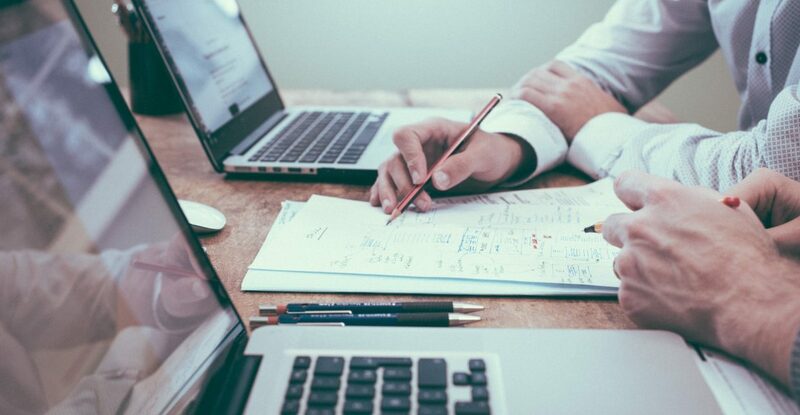 At Seer, we don’t just consider ourselves a “digital marketing agency,” we consider ourselves digital marketing consultants and, more importantly, your agency partner. We will have the balls to tell you if something won’t work, and utilize those jewels as needed. But we’ll also be the first to help you try something new or ground-breaking. An in-house team works for the company and by the company, and unfortunately most people would rather keep their job than speak poorly against a concept born from upper-management. Pepsi’s intentions were to capitalize on the recent string of protests that have been made-up of largely younger audiences. These “millennials”, who are so against the status-quo, looks to be their target demographic as soda seems to be fading from more and more households every day due to the growing trend for healthier lifestyles. The insensitivity of the ad comes from its lack of heart and emotion, which was noticed by the Internet almost right away. What many consider to be Heineken’s “answer” to the Pepsi ad, “Heineken – Worlds Apart” speaks to the same sensitivity level, but it did it without being flashy and obnoxious. It also proved that Publicis, the ad agency responsible, is listening to the masses and not just viewing them. It was responding to the idea that people want other people to understand them and their views. It may seem a bit lofty to think that after spending 10 minutes with a stranger you would be willing to sit down and hammer out your differences over a beer. So where do agencies like Seer come in? As an agency partner, it’s our job to understand our clients and our clients’ competitors. And the advantage we have? We have a variety of clients, experiences and resources that in-house creative teams may not necessarily have access to. The inherent nature of our jobs is to ensure the success of our clients in a digital realm, whether that’s from SEO or PPC or both. We keep our ears to the ground for changes in the industry and present these updates to our clients in case their marketing goals are aligned with shaking things up a bit. If there is a strategy change, we’ll give our honest opinion and consult internally if needed. For instance, this case study that showcases the SEO team taking our client and transforming their strategy for cloud computing based on landscape and competitor research. In spite of that, at the end of the day, our clients have the final say and we work with it regardless of where the strategy came from. As an agency partner, we act as an extension of a company’s marketing department, whether it consists of 1 or 100 people. Everything we do ties back to our client’s business goals. Really, at the end of the day, wouldn’t you want someone to be transparent with you ahead of time before your brand’s name leaves a sour taste?